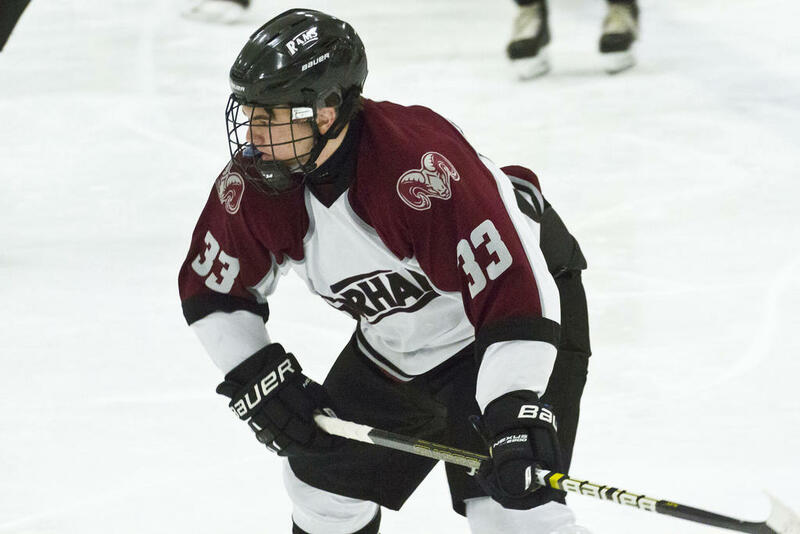 GORHAM—Shots-wise, Gorham more than doubled-up on the visiting Kings on Saturday afternoon, Feb. 9, and all that peppering earned them a goal, an Aiden Enck strike. 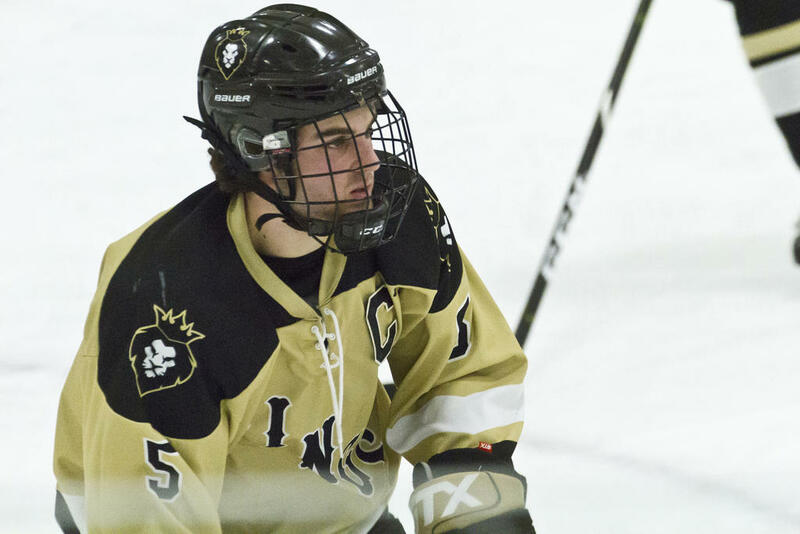 But goals-wise, the Kings tripled-up on their hosts, ultimately earning themselves a nice, 3-1 W thanks to contributions by Reece Collins, Austin Taylor and Trent Vaillancourt. 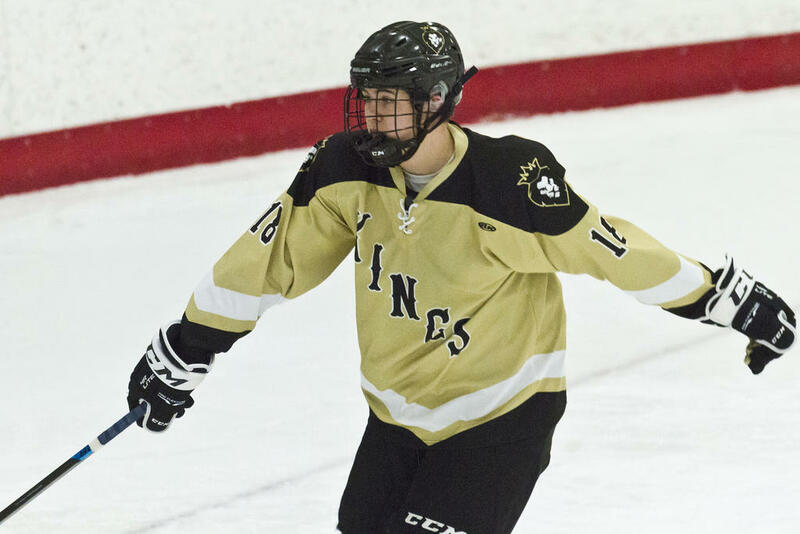 The Kings put up the first two goals of the day barely more than a minute apart: Collins punched the first home, past Gorham goalie Guiseppe Brown, with 5:24 remaining in the opening period on an assist by Spencer Berube; Taylor punched the second home not long after, unassisted. Over the course of those 15 minutes, the Rams outshot their guests something like 10-7, and with just over a minute to play before the break, Enck scored with a little help from teammate Trevor Gray. Otherwise, though, Kings netminder Xavier Michaud stood strong. 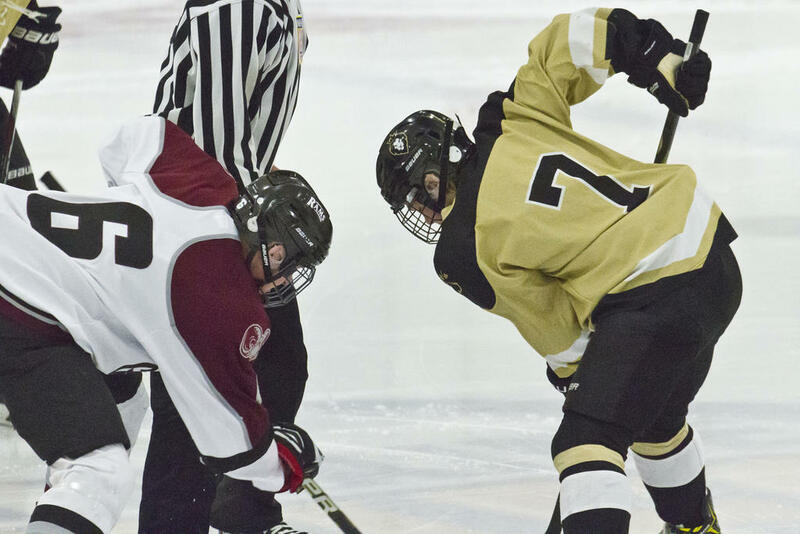 The Rams outshot the Kings by a still-greater margin in the second – 12 shots to two – and continued to badger Michaud in the third, 10 shots to four. But the only other point scored that afternoon was an empty-netter in the late third, thanks to Vaillancourt. In part, the Rams’ owed their offensive pressure to the sheer number of penalties the Kings incurred. (A couple of these came on questionable calls, though it’s also worth noting that both sides seemed to get away with a chippy play here and there as well). The team notched six minor infractions in three periods. Still, despite Gorham’s outstanding offensive-zone control during those two-minute intervals, they could never capitalize. 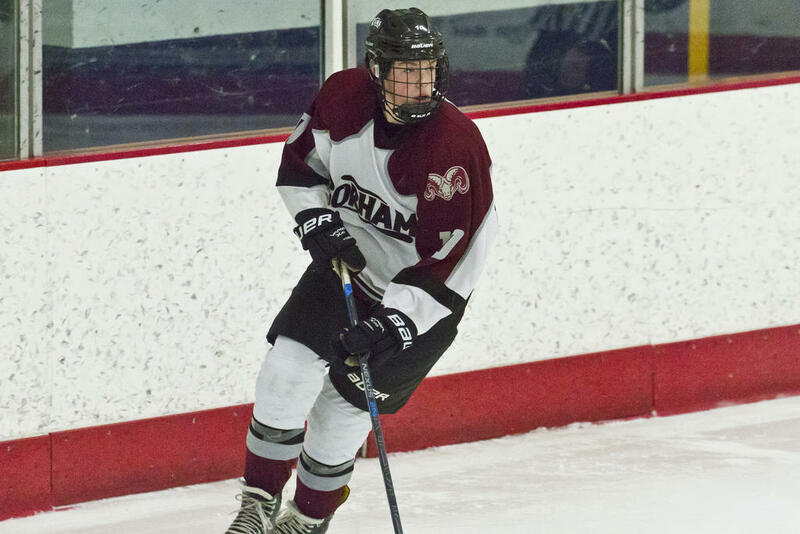 The Kings advance to 10-5-1 on the win; Gorham slips to 7-7. Worth noting: The Rams have dropped five of those seven losses, according to Portwine, by one goal or one goal plus an empty-netter, as they did against the Kings. Among their narrow defeats is a 3-2 result vs. No. 1 Greely. 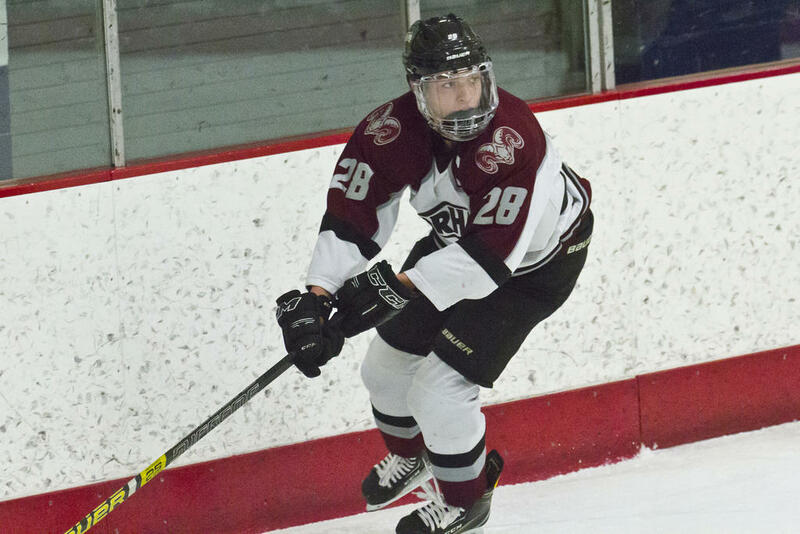 The Kings close out their regular schedule with a Feb. 16th home bout vs. Yarmouth (7-6-2) and a Feb. 21st road bout vs. Greely (12-2). The Rams, meanwhile, have four games left. Next up for them is away vs. Maranacook/Winthrop/Madison/Spruce Mountain (1-12) on Feb. 11, and then away vs. Gardiner (7-7) on Feb. 14. Adam Birt can be reached at abirt@keepmecurent.com. Follow him on Twitter: @CurrentSportsME. Trevor Gray slices through the corner. 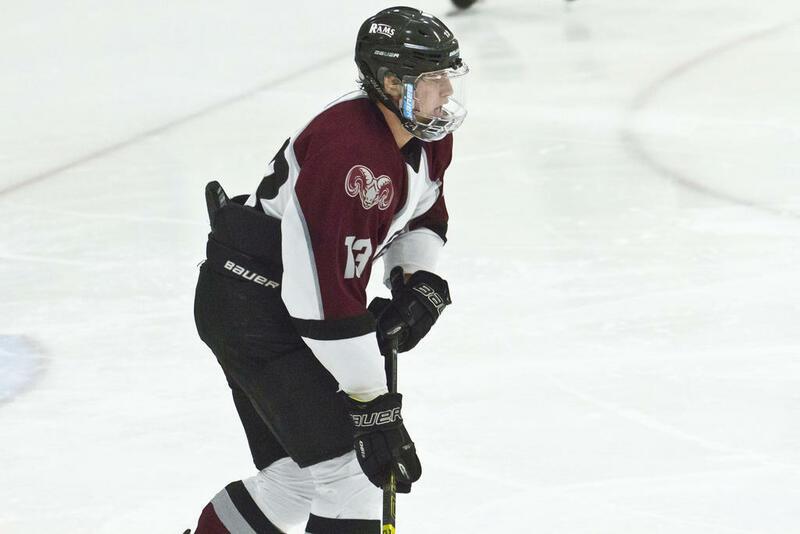 Cole Perreault scoots forward for the Rams. Nick Gray skids to a stop in the corner. 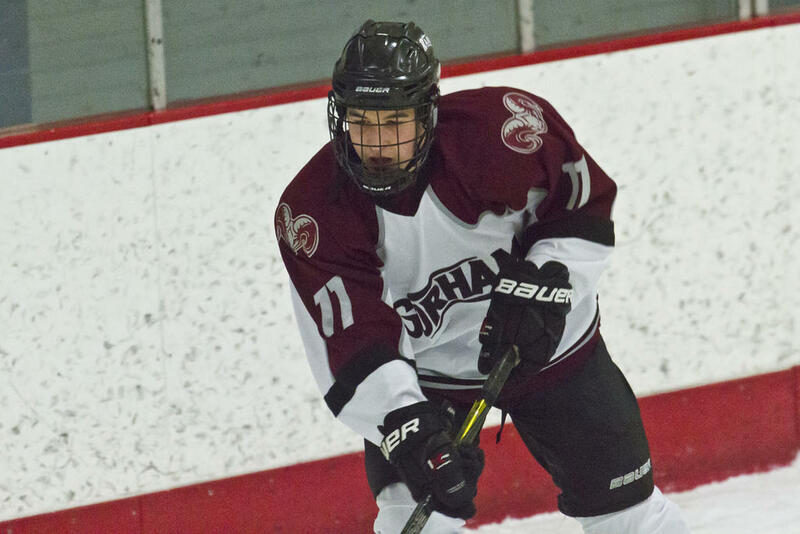 Jonah Bird unwinds into a slapshot. Tanner Garand carries for the Rams. 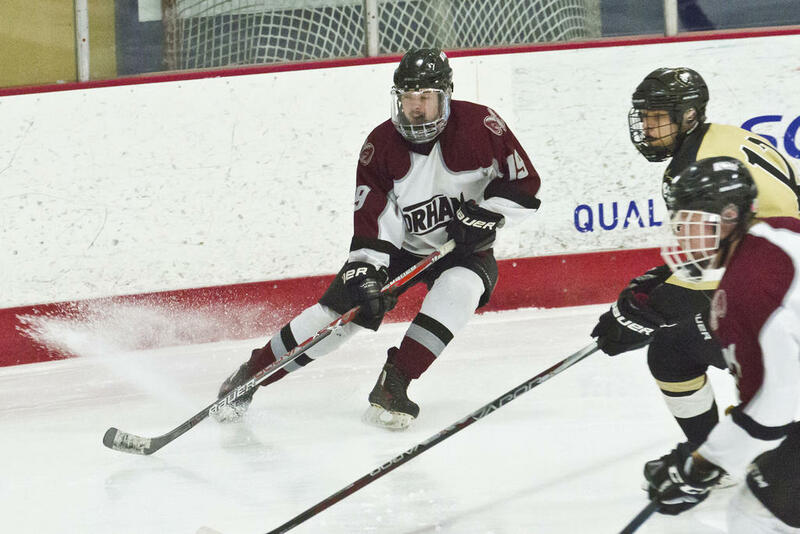 Gorham’s Aiden Enck and the Kings’ Aiden Gonzalez face off. Sam Tibbetts covers his post for the Kings. Andrew Topham tracks the action. 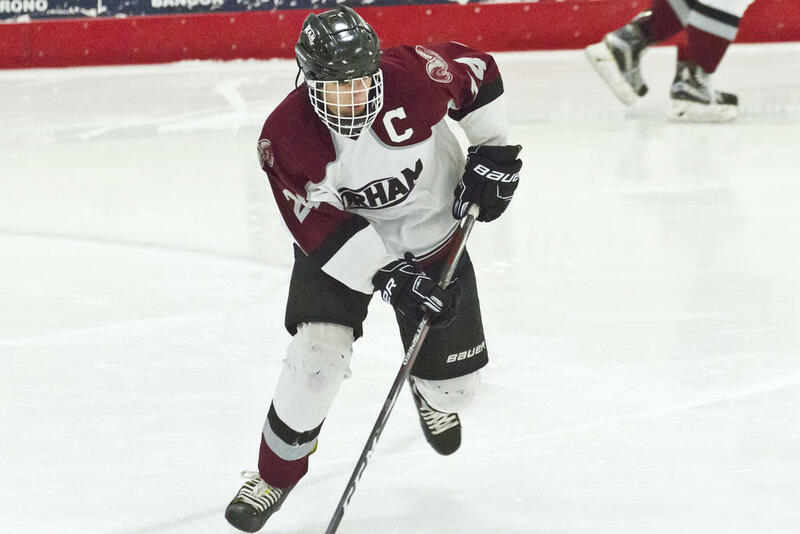 Gorham’s Aiden Owens cuts through the corner. Nolan Gava works behind the net.